The Poplar Boletus has a convex cap that is light brown or light cinnamon in colour and is 6 to 15 centimeters in diameter. The cap is stippled and becomes smoother as it matures. The cap's cuticle overhands its pores on the underside. 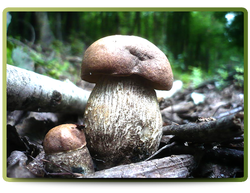 The pores are whitish and turn pale yellow as the mushroom matures and bruise olive brown. The stipe is bare and bulges in the middle. The stipe is light grey in the apex and with a tinge of blue-green as it fades to a brownish colour in the stipe base - also blotched blackish throughout. 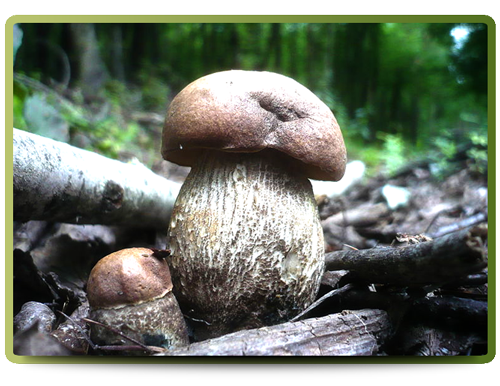 The stipe can grow from 3.5 to 14 centimeters tall and between 2 and 8 centimeters in diameter.The Poplar Boletus grows in summer to late autumn.